Let's do the math (because I'm about to use some firm language). 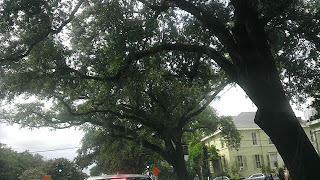 In the last year, I've been to Brussels and back, France, Amsterdam, Spain, Poland, England, Canada, and driven about 6,000 domestic miles through about twenty different states, yet something inside me feels desperately land-locked on an island of insanity, which if I don't escape from, I'm going to go completely mad. For instance, today I attempted to take my children to the movies. Half way there Shannon states: "I think they're only open on the weekend." I reassure her, that's not possible (surely), and suggested she call. Sure enough, they were closed. So I do a U-Turn, pull out the smart-phone and Google for a theater in the larger city about twenty miles away. Unfortunately there was only one showing, nearly two hours later at 10:15 PM, way too late for my kids. So we head home, I promise pizza, I pull in the drive-way, unlock the door, turn on the laptop and try to order pizza only to find out they're closed. Technically it's still several minutes before they close, but the system wouldn't let me order. So me and Shannon hop in the car and head to the grocery store, and it's closed- both of them. In fact everything is closed at 10:00. It's like the Zombie Apocalypse in town, and I can't figure out why. Nearby, curfews are in place and I wonder if it's true here. Is the entire town walking around in unison on the same creepy time-table? It's the middle of summer and I feel like I live in a Protestant monastery. 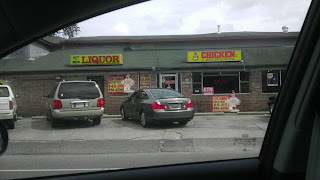 Hit and Run Liquor next to Chicken and Watermelon in NOLA. People like to argue with me on my opinions of small-town-America and America in general. While people are entitled to their opinions, I'd really love for people to consider the fact that their often stolen and cliche'd comments could be clouded by their own nationalism and self-perpetuated propaganda. Again lets do the math, and before you suggest the 10 PM closure time of an entire town is manifest destiny of the best country on earth, ask your self, have you seen what I've seen? Sure, some of you have traveled more than I, and I will respect your opinion. Unfortunately everyone of you who are in this category tend to agree with me. America is just, well, err... sometimes, very backwards. While this rant focuses on a single day, I use it as a metaphor. Here I'm standing in a town with several thousand people as a population, and everything is closed, everything is quiet- but out there, away from here, a whole world is going on (battles, wars, revolutions, love). Endless stories unfold while my neighbors sleep. I'm however the insomniac, online writing, but secretly wishing I could figure out how I ended up where I ended up. Two weeks ago we drove out to Dallas and back for medical reasons. It's an annual field trip which is one-part vacation and one-part "business". We ate the world's biggest doughnut in Round Rock, the world's best brisket in Austin, ate some alligator, walked through The Alamo, and drove down to Bourbon Street in New Orleans. I could write on all these adventures, pretend like it was a truly American road-trip (I suppose it was) and declare at the end of it all how beautiful America is (which much of it is), but if you want manufactured, self-flattering reassurance that your next trip to Texas is going to be The Greatest Vacation of Your Life™, you're in the wrong place. It was a long tedious drive, and arriving at the Alamo you're sold a story of how great Americans like Davey Crockett won the independence of Texas from Mexico. If you're wondering, (and let me preface this by saying) The Alamo is one of the coolest places I've been, and worth going once in your life. However, it's nothing what I thought it would be. It's next to a tourist area with a Ripley's Believe it or Not right next door (do people vacation at The Alamo?). Parking is $5-$10, and upon arrival into the main building photography is banned. I can take a million pictures inside the crypts in Paris, but this building containing no visible remains is preserved from photos, seems a bit counter-intuitive to me if we're to consider this historical preservation rather than some hypocritical moral code built on the bodies of dead soldiers (both Mexican and Texan). They have absolutely no problem building a gift shop inside the original building walls and the story weaved at The Alamo only hints at "heroics" that robbed Mexico of its land. If you're not familiar with the story of Texas, it goes something like this. Texas was once in Mexico, and immigrants from America and Europe moved to the area under the conditions they'd convert to Catholicism, and assimilate into Mexican culture basically (in exchange for the land). In the end the settlers chose to rise up and declare their independence (as an independent nation). The war went back and forth before Texas eventually won its freedom (e.g. 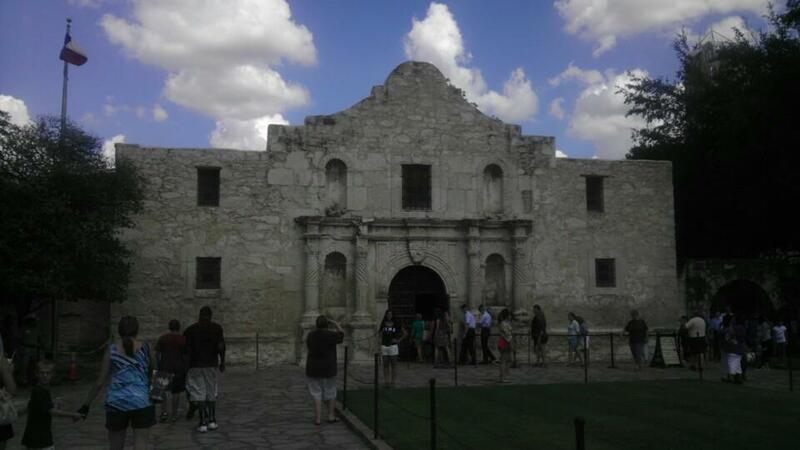 The Battle of The Alamo), or should we say stole its freedom. It was as if a house-guest moved into you home then declared it for themselves. Most conservative Americans would use a similar analogy to describe anti-immigration sentiment towards Mexican immigrants today. That's some hypocrisy. In fact it's a testament to this American sentiment some of you suggest I should have. Is America great? Yes, but not for the blind faith reasons most suggest. It's great because of the evil, horrid, bloodshed it was built on. It's great for the rewritten accounts and Spanish missions (The Alamo) which we now claim for our own benefit. American's stole, butchered, and raped so you can eat giant doughnuts, go to wax museums outside of The Alamo, and so you can live in a world where you don't have to go to bed at 10 PM. What has this generation contributed to making this country better? They went to bed early. I think everyone should wake up and live a great life worthy of the greatness of what's come before us, much of which has been forgotten by those too certain the lie is more important than the truth. So go to bed, I'm planning my revolution.